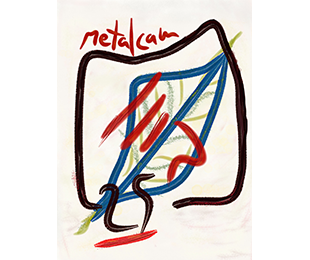 Metalcam celebrates its 25th anniversary since its foundation. The history of Fikus Visualcam started with the development of a cad/cam system for milling technology, but that has been evolving ever since to offer the best solutions to the manufacturing industry. During all these years, Fikus Visualcam has extended its solution to other machining technologies such as mill-turn, lathe or wire EDM. The Fikus Visualcam solution is now a complete CAD/CAM platform that allows users to manage any modern machining technologies available in the market. 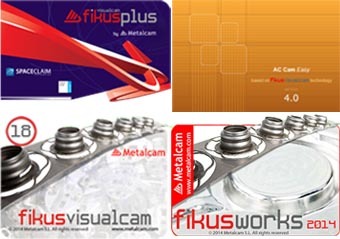 Fikus Visualcam has been evolving to match its customers' changing needs like, for instance, the integration of the Fikus CAM modules into some CAD platforms such as SolidWorks or SpaceClaim, leaders into the CAD market. In the international market, Fikus Visualcam is highly appreciated especially in relation with the wire EDM technology. The wire EDM Fikus module main features, its ease of use and easy learning together with a high productivity ratio, has convinced a number of relevant machine makers such as GF Machining Solutions (AgieCharmilles) or Ona Electroerosión, to select Fikus Visualcam as the software installed in their wire EDM machines. 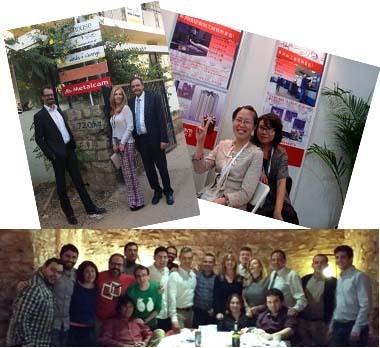 Today Fikus Visualcam, through different distribution agreements with some relevant companies, as those already mentioned or the Cimatron Group, is extending its presence in more than 50 international markets, including its subsidiaries in India (Bangalore) and China (Beijing), offices that count with development and support teams along with commercial and representation tasks. To celebrate this 25th anniversary, the Fikus Visualcam marketing team is preparing several promotions and activities to thanks their customer’s loyalty. Stay tuned for our upcoming activities! !